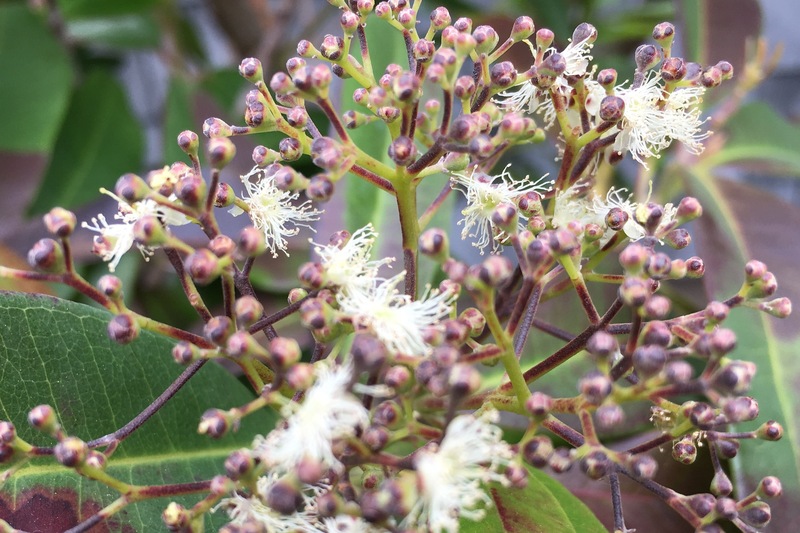 I’m very excited to re-introduce Allspice/Spice Tree (Pimenta officinalis) once again! This time of year I make Flower Essences in glass bowls all over the gardens. This is to replenish supplies of Flower Essence made here at the farm. The obvious difficulty with our collections from other parts of the Earth is that it is much harder to keep stocked with these Flower Essences. Allspice/Spice Tree was one casualty of geography: We ran out of this Flower Essence as I never seemed to be on Bermuda when Allspice/Spice Tree was blooming. Problems with sourcing extended beyond this friend. So many wonderful tropical plants of Bermuda and St. John are beloved Flower Essences and key ingredients in our combination Flower Essences. However trips to both islands are infrequent. So more than 25 years ago I started to raise tropical plants in our greenhouse, so that when it was impossible to get to the islands, we would have a bit of the islands here at the farm. This time of year these tropical beloveds are particularly happy as they are sunk in soggy peat moss out in the cold frames, directly soaking up the sun, rain, warmth and humidity of summer while also keeping their roots nice and cool and damp. In this rather muddled picture, the Frangipanis rise up above the many Limes, Lemons, Oranges, Grapefruits, Bougainvilleas, Jasmines, Calliandras, Pink Tecomas, Bananas, Bignonias, Pomegranates and other tropical plants. The Frangipanis are ten feet tall now with many other tropical friends almost as tall. 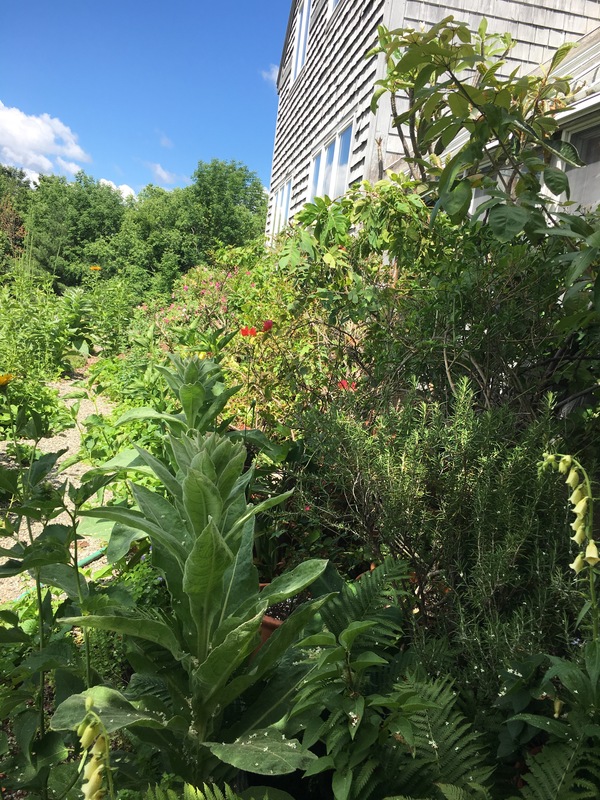 We sourced most of these tropical plants from Logee’s, a supplier of tropical plants in Danielson, Connecticut. Logee’s has offered tropical plants since 1892. I grew up near Logee’s. Many a winter afternoon saw me in their amazing, ancient and enormous greenhouses wandering to my heart’s content. If you live anywhere near Logee’s ( and even if you don’t) a visit to Logee’s is worth the trip. Some of the plants are over a hundred years old and the fragrances and abundant Flowers are a joy to experience. And interestingly enough many Bermudian gardens were built with tropical plants from Logee’s. This importing went on until the customs got too difficult about 20 years ago. I was always so happy when I found a plant marker in Bermudian friends’ gardens with the Logee’s logo. Anyways….a decade ago I noticed that Logee’s offered small Allspice plants. I purchased a tiny pot and then I waited, repotting on occasions as the specimen because a small tree. The wait was worth it as now for the first time it is covered in blossoms. What a thrill it was to see the first Flowers this summer! Given the intensity of the spice, ground from the berries of this tree and redolent with cinnamon, clove and nutmeg scents and flavors in both berry and leaf, it’s no surprise its Flower Essence is all about the senses. 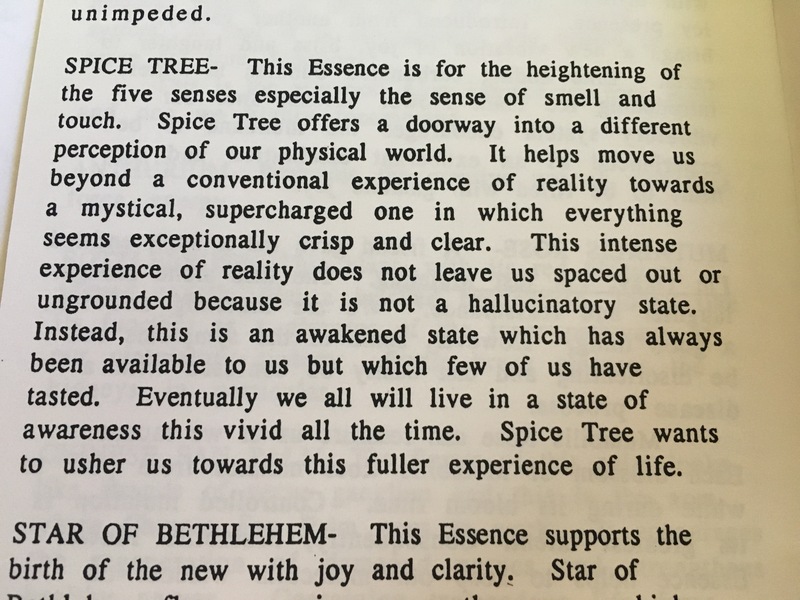 Here was my original post in the fall 1994 green newsletter introducing Spice Tree/ Allspice..
Any of you out there that remember those green newsletters? I wrote the newsletters and my children, so little at the time, did the art. What fun it was to create those newsletters! We used to get many thousands of them printed, then we’d hand sort them into matching zip code bundles. The sorting process would take over every room in the farmhouse and from room to room we would call out what we learned as we discovered pockets of Green Hope friends. “We have 25 friends in Fort Bragg, CA.” Did you know we had THAT many friends in Puerto Rico?” All this sorting meant we could send the newsletters out with our postal permit #5 which gave us our first and last savings on postage. Then came the internet…..and all things online! 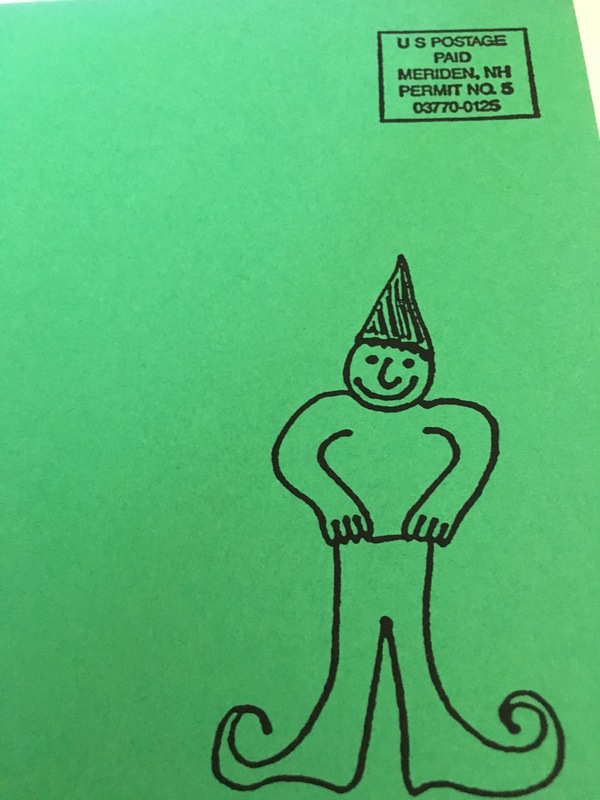 ( and the kids grew up and weren’t so interested in doing art for their mom’s newsletter). This last week the Angels, Elementals and I made Allspice/Spice Tree into a Flower Essence again. 24 years later, the Angels and Elementals tell me that they are content with the original description, but they would like us to call the Flower Essence Allspice not Spice Tree so more people can connect it with that spice in their spice cupboard. I ask them for an I AM affirmation. I AM my awakened senses. Okay a bit of a grandiose title, but bear with me…. The garden designs got switched up in late winter from one set of plans to another. In over 30 years here, this was a first to have plans I received in January be discarded by the Angels and Elementals in March. The new plans involved spirals in every garden. 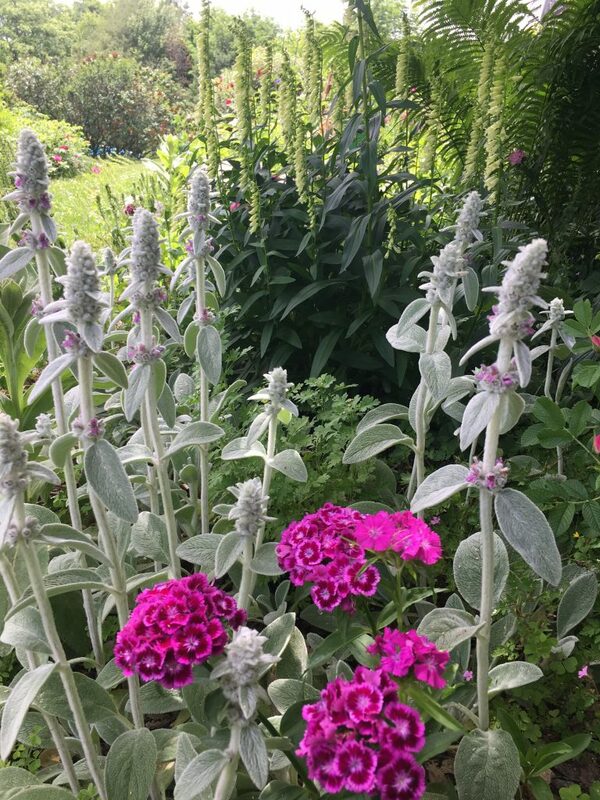 It was fun to plant these spirals and now as they grow, the feeling of all these spirals is wonderful. There is a dill and cilantro spiral, a dahlia spiral, a potato spiral, a sunflower spiral, a beet, radish and chard spiral. 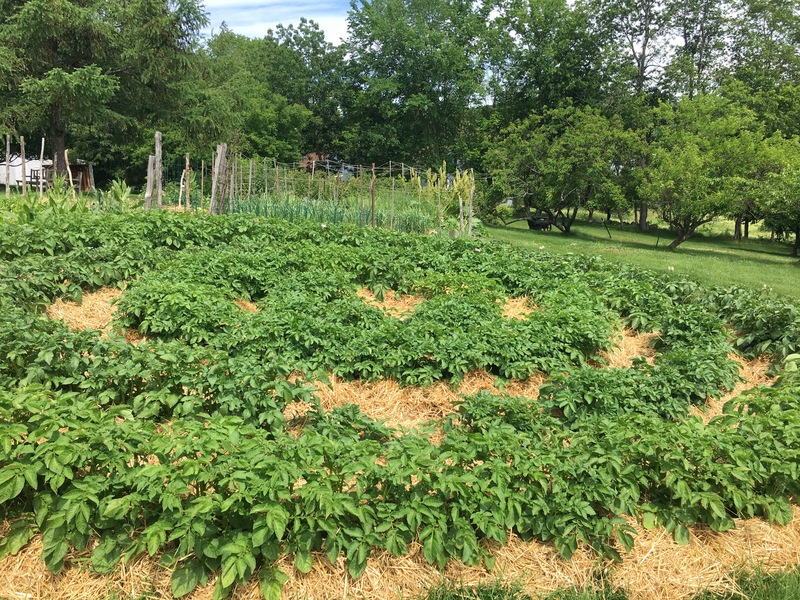 One large garden is a spiral entirely of beans. I was feeling pretty smug about how well the bean spiral was doing. Then two days ago, on my morning tour of the gardens, I discovered the deer had munched a big section of bean plants. I already lost so many crops to the cats and mice who ate or destroyed almost all the seed flats in the greenhouse this spring. 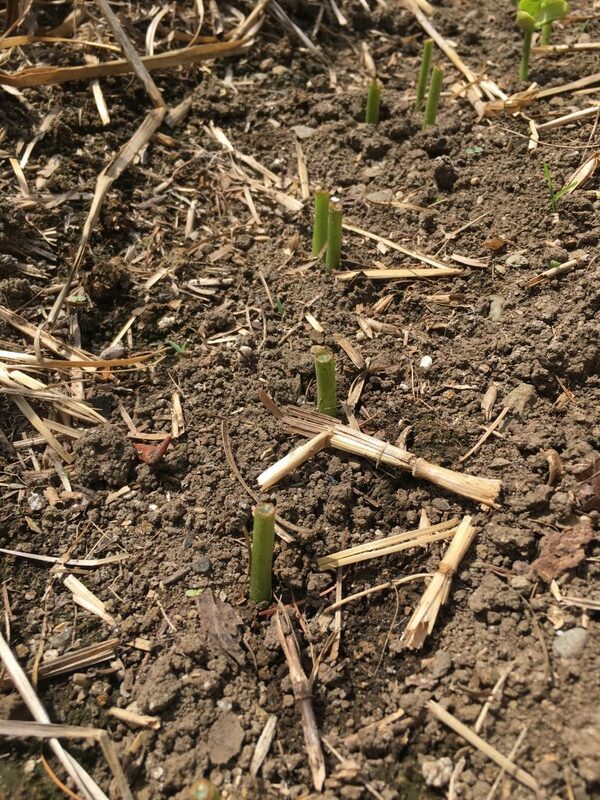 As I looked at what was left of the bean plants, I was mad about losing yet another crop to the deer. So I built a fence of stakes and twine all the way around the bean spiral with a big energetic “THERE ARE PLENTY OF OTHER THINGS FOR YOU TO EAT THAN THE BEANS.” Deer could easily jump my fence, but I hoped it would remind them they know how to restrain themselves. What it reminded them of was that the beet and chard spiral was not fenced in. That was dinner for the deer the night I put up the fence. Which brings me to the point of this post- a new way to work in partnership with the Elementals- a specificity in asking for help and a deeper letting go in complete trust. 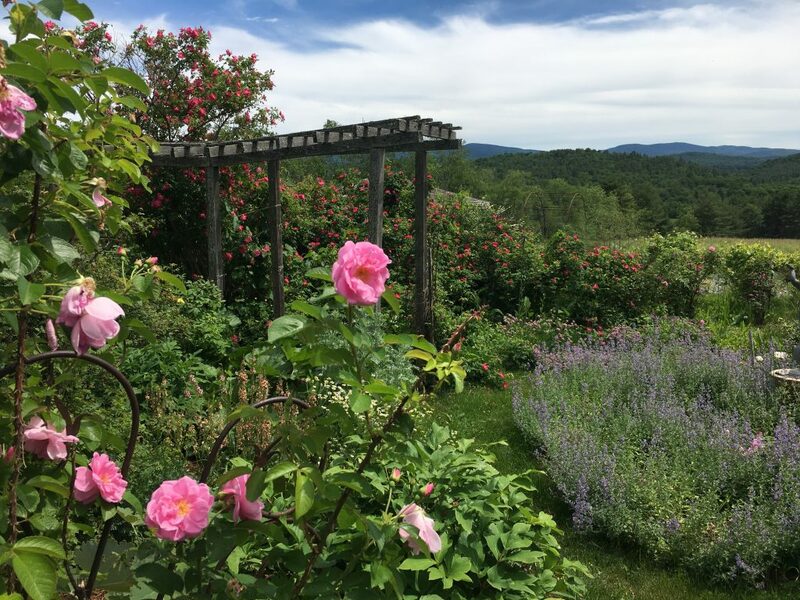 As I wander the thirty plus year old gardens here, all worked in partnership with the Angels and Elementals from the beginning, I see how different all the plantings are than they were ten or twenty or thirty years ago. Some trees, shrubs and perennials, no matter how many times I replanted them, just didn’t settle in and stay. Others have thrived beyond my wildest expectations. This letting go to the wisdom of the garden has been stepped up a notch this season, and not just because of my skirmishes with the deer. It’s like all the threads have been there, but I finally can feel how the cloth goes together. Yes, Deer Family, I do not always do this gracefully, but I DO keep asking the Elementals to manifest what is in Divine order and NOT what me or any other human thinks this should be. As a part of this process, I have long asked for the generic removal of all negativity, but now I am more specific. I ask the Elementals to clear from the land ANYTHING that is not in Divine order including but not limited to negativity, toxic heavy metals, radiation, pesticides, herbicides, fungicides that might have blown in with a wind or rain, ANYTHING not serving the Light. Somehow, this specificity represents my deepening awareness that if we all ask for the Elementals’ help, they will help us heal this entire planet. No job is too big or too small for them. The Elementals are THE KEY to restoring Earth. They stand ready to work with us if we but ask. They NEED US TO ASK in order to do all they can. The wonderful news is that as we ask them to do this work, garden by garden, building by building, geographical place by place, IT WILL BE DONE. Elementals can transmute anything. We don’t need to limit our requests to the generic “negativity”. We can ask for help with anything we think might be a specific issue on the land we are on and then in addition ask for the generic removal of all negativity. In this deepening conversation with the Elementals comes a greater sense of working together to heal a planet we love. When we ask them to remove and transmute all that is not in alignment with Divinity, it releases the land we are asking them to work into natural alignment with Divinity. Transmute means literally change in form, nature or substance. This request for clearing is not just moving one place’s toxic stuff to somewhere else. It is a request for the Elementals to do what they do, dissolve what is not in alignment with Divinity back into the formlessness from which it came. That is the Elementals’ work after all- to manifest form and also return form into formlessness. I really hope you’ll join me in asking the Elementals holding your part of the world in form to do this clearing and transmuting process. This is a way forward for all of us. And as I go forward, I try to remember that I do not know exactly what this transmuting process is going to look like. I need to continue to work to let go of my expectations and TRUST. Divine order is beyond my understanding. I simply need to ask for the Elementals’ help and let go. 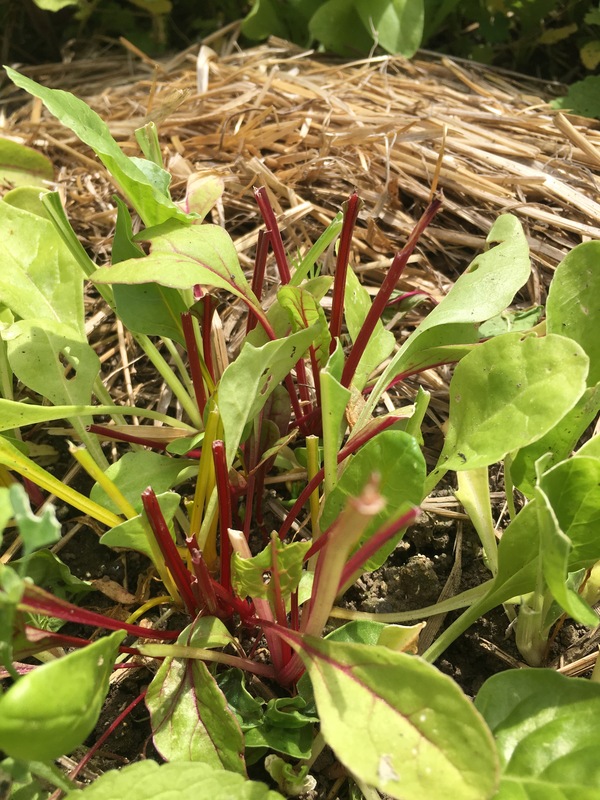 My work is to embrace what happens and savor the mysterious and wonderful unfolding of a healing Earth EVEN IF IT MEANS NO BEETS OR CHARD THIS YEAR! 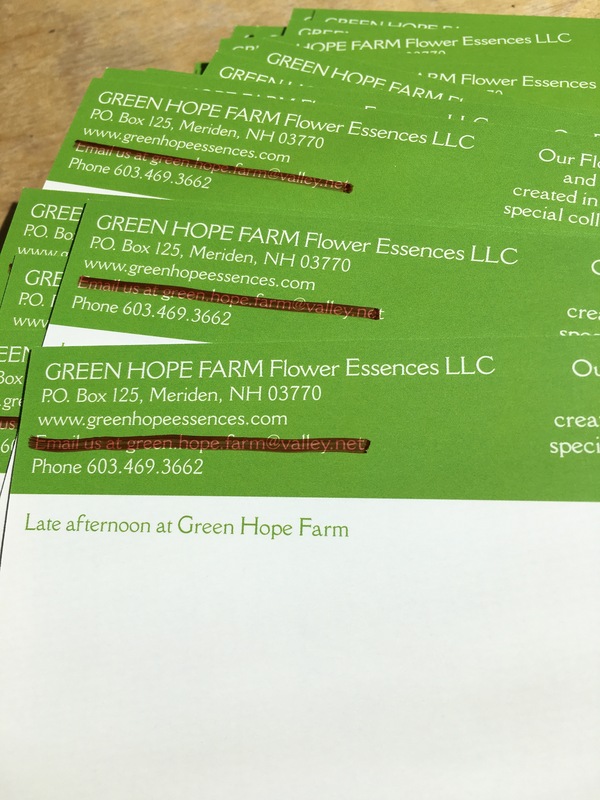 Because spring is not busy enough on a farm, life now finds us crossing off our old email address on 10,000 postcards, applying new email info to printed pamphlets and scrambling to change every online interface we have from our old email address to our new one. YES! There are 2 e’s on a row in there. Whew! Now that you have done that, I can continue my tale of technology woe. Wait? Did you REALLY change it? Because you REALLY need to! No joke! And with that pronouncement, 6,000 valley.net addresses were history. It was rude strange that we read about the end of our email address in the paper. It seemed rude bizarre there was no notice from the company. In fact, we still haven’t gotten ANY notice, rude or otherwise, from the company. On hearing this news, I got that glazed look that most technology glitches give me. To my adult children, who were sitting at the kitchen table relaxed and scrolling through Instagram, FB, texts and the internet simultaneously, my face probably looked like one painted by Edvard Munch pained. Behind that face lay a brain spinning out of control already brain-storming solutions. I was immediately busy plotting solutions for this nightmare conundrum. Too busy in fact to fake technology serenity. 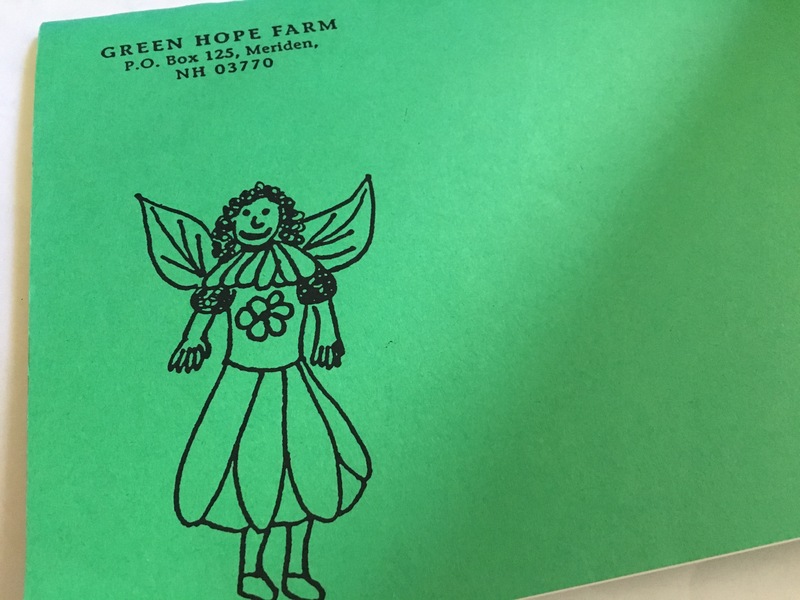 Green Hope Farm has had this email address for 25 years. Everything we do loops through this email address. AND I MEAN EVERYTHING. My list of things to sort out is several pages long. And growing. Fortunately as I wrung my hands, Sarah and Will said, “NO PROBLEM!” Mercifully for them they did not say, “That’s progress.” Instead they said, “This happens every day. We can fix everything.” and they ARE fixing everything except my attitude. Today for example, Sarah and Jen are getting the kinks out of the new email system. But you know that, right? Because you changed it in your computer address book! Right? Not to beat a dead horse but We REALLY need you to change us in your computer, because valley.net is kaput. This new company could give a hoot that valley.net, as an offshoot of Dartmouth’s blitz mail, was one of the first email communities ever. They could give a hoot about the 6,000 people like me are who are trying to wrap their spinning heads around life after valley.net. I hope everyone has a team like I do tuning our their worried mother holding my hand and telling me to CHILL. But I doubt it. Valley.net stopped giving out valley.net addresses 20 years ago, so that means the 6,000 of us dinosaurs customers, unlike Mr. That’s Progress Chip, have been clinging to our valley.net addresses and resisting change for at least 20 years and/or haven’t had an assertive lively group of young people around them dragging them into the future encouraging change as I have or as Chip clearly had. TRUE CONFESSION- My son, webmaster Ben, suggested I make a change in email address years ago. He was joined by a Greek chorus of other siblings. But I insisted I liked the bucolic sound of our obsolete email address. I regret my foot dragging. There, I said it. So back to the main point of this post- The old email will not work in a matter of days despite my Herculean efforts to stop the flow of time– and if you send an email to that address, IT WON’T BOUNCE BACK and tell you we didn’t get your mail either. My great grandfather was an GP in Philadelphia and when he didn’t hear from a patient for awhile, he would tell other patients that the person was dead, even when he or she was very much alive and kicking. IF YOU DO NOT HEAR FROM US in response to emailing the old email address, WE ARE NOT DEAD! As Chip would say, It’s progress. PS Is it ironic that technology can create problems only a human can fix, one cross off at a time?